Everyone desires to have good health, happiness, security and peace of mind. Since the modern society is growing fast, you have very little time to recollect for yourself. However, it is not too late. You can learn to recite at least a few verses or stanzas from this Puja CD and recite it every day before the Buddha with devotion. This is the 3 most powerful stanzas of the traditional Mantra. 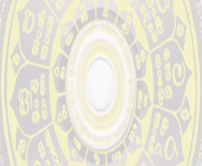 When you listen or chant regularly, you will get great results such as protection, good health and success in all your wishes and ambitions. The contents of this Album are scriptures that were found engraved on some stone, which was covered, and it's believed to bring good luck and prosperity. Ven. R Gnanaseeha wishes that this album could bring some warm to the people. 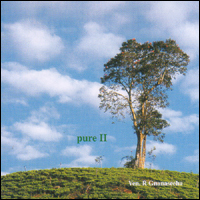 Pure II CD was launched on 1 January 2004. S$2.00 will be contributed to The Straits Times School Pocket Fund with every purchase of Pure II CD. This CD offers a snazzier version of what can be found on traditional Buddhist albums which feature Chinese instruments. On the album, which has two tracks totalling 56 minutes, Venerable R Gnanaseeha Thero chants excerpts of the Pali Sutra amid a backdrop of soothing nature sounds produced by Mr Gilbert Ong. With the slow-moving music and prayers, people's minds can be calmed. Nowadays we see more and more people being very busy due to work and family. They have very little time for themselves. The music helps them concentrate better and helps them to sleep well. Buddhist literature records so many attributes accorded to the Buddha. Among them nine sublime qualities are highlighted in the Pali formula that begins with Itipi So Bhagava Araham etc and is recited by the devotees. It is well protected from danger, fear and pain if he/she with profound faith, focuses his/her mind on the nine sublime qualities of the Buddha.